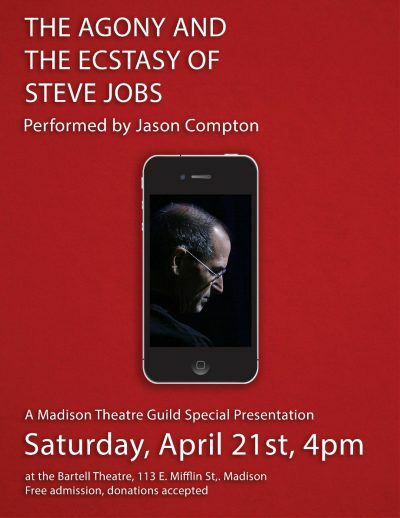 By special arrangement with Madison Theatre Guild, Jason Compton will reprise his performance of Mike Daisey’s “The Agony and the Ecstasy of Steve Jobs” at the Bartell Community Theatre, Saturday April 21, at 4 PM. It’s the story of Steve Jobs, Apple, Foxconn, and how the technological society we live in was made–and continues to be made. It’s the story of a generation raised on computing, when a world of mysteries could be found in 64k. A capsule history of a world built through equal parts genius and destructive practices. 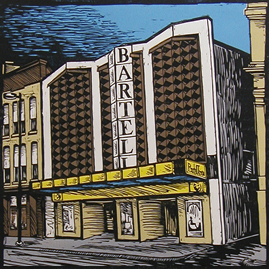 Free admission, with donations to Madison Theatre Guild welcome.